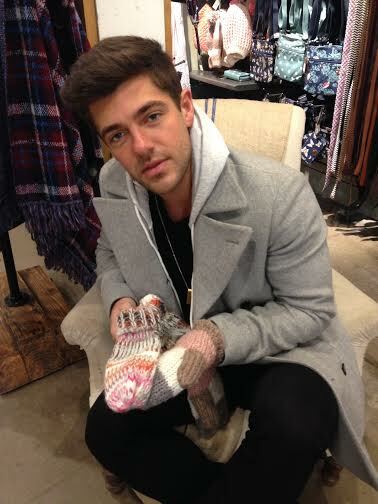 When we met up with Alex Mytton – off of Made in Chelsea – we had great expectations for matching him up with his favourite mittens. 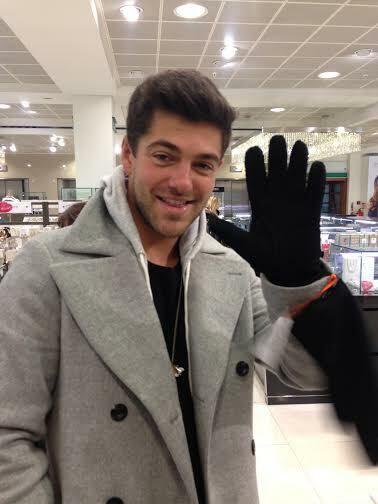 Brookes graduate Alex was thrilled by the idea – so much so that he’s now thinking of creating his own branded mitten. “I think I should release my own range. 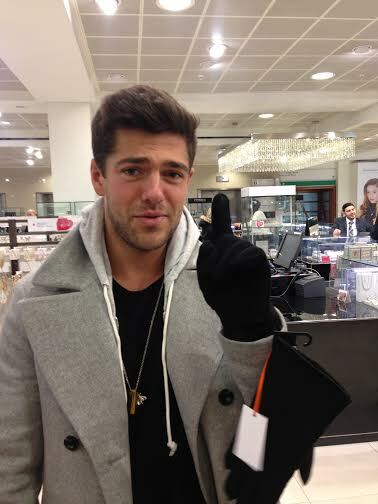 “I might get my gran as the face of Alex Mittens. If I started it now it’d be just in time for summer. You’d have to be able to use your phone though – the only app you could use would be Tinder. “I used it for like three days ages ago. I don’t think I’d meet up with anyone from it. There’s new versions now though, like Happn. “I basically came up with that idea like three years ago, I had the whole thing written down. I’ve still got the piece of paper with it all written down and some fucker got in there before me. Along with having Happn swiped from under his nose, Alex hasn’t yet ironed out the kinks from his new mitten business. 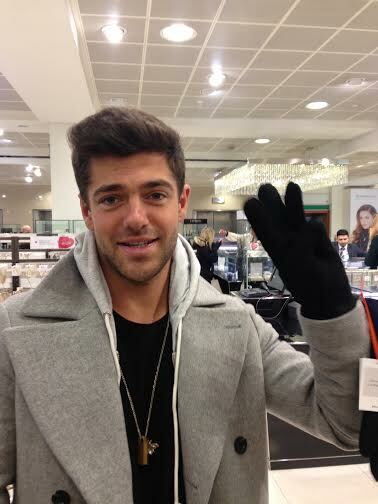 He said: “I’m not sure how I’d do it – would it be Mytton’s Mittens? I either go down the route of complete pisstake or a really luxury pair. Returning to unis is a big part of Alex’s career outside the show, as a DJ. 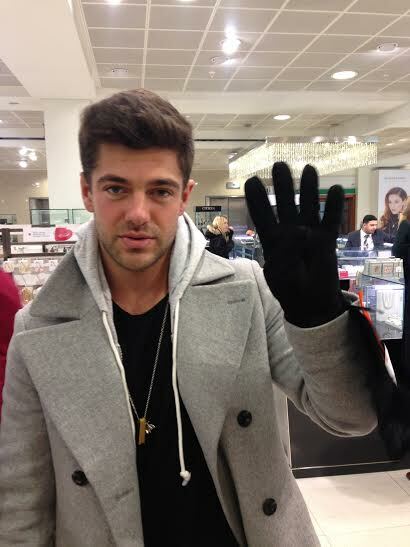 Currently promoting his new single Electric, he has been back to Oxford Brookes once or twice, performing at Bridge. “The good thing about DJing is I’m all over the UK. I do a mixture – a lot of unis. Other than Oxford, Alex’s favourite uni town is an unlikely one. And which has the fittest gals? Alex said: “I DJ’d in Ireland last year, and I’d never been before. I dunno why nobody had ever told me it before but there are so many attractive girls over there. Alex mixes his music career along with his involvement in Made in Chelsea, where he’s just started work on the new series. “It’s looking quite good actually. Towards the end of the last series I think it was a bit stagnant – everyone had shagged each other. “There’s quite a good group of genuine friendships now. “You have to take it as it comes. There’s been a few times I’ve been like ‘OK I’m going to sack it in and concentrate on the music’ but then when I think about it I’m like why would I, it’s so fun and I get to film in these really cool locations. “On the one hand it can help you as a platform but on the other hand the music industry is quite snobby in a way. It took a long time to find mittens in London on the eve of spring, and for a while we thought we’d have to settle for gloves. 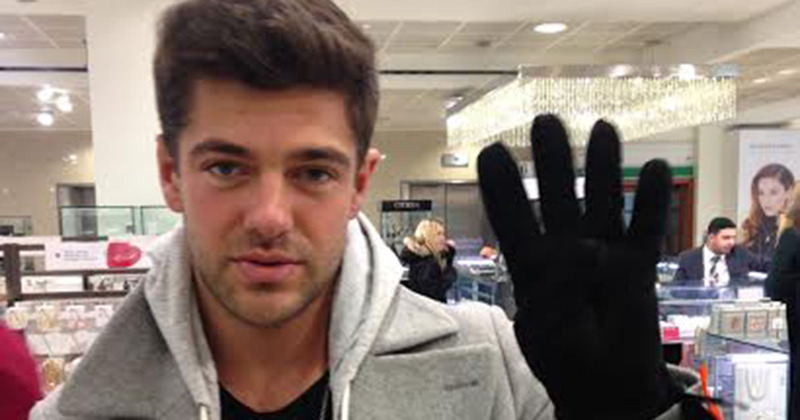 Alex used this fetching pair to rate his favourite things that rhymed with the word Mytton. 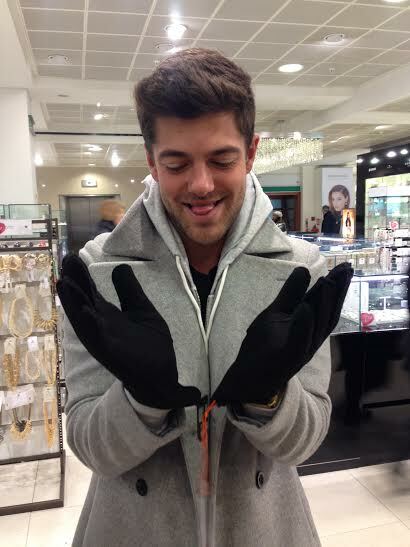 After our next sports shop search came up short (their skiing range for the winter had moved on), and The Kooples let us down, we thought we’d have to settle for these mitts – which were disappointly one syllable short of the Mytton Mittens. 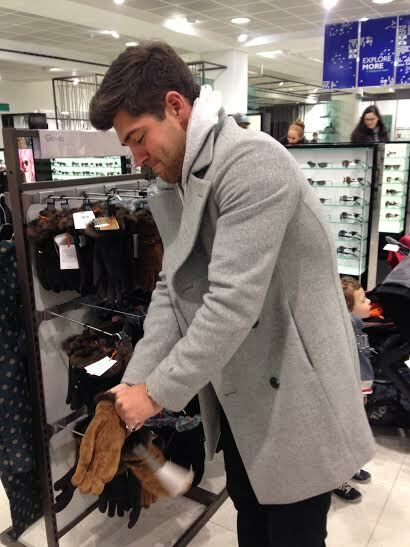 We finally came up trumps in Fat Face where Alex nabbed two, including this fetching Neopolitan pair. 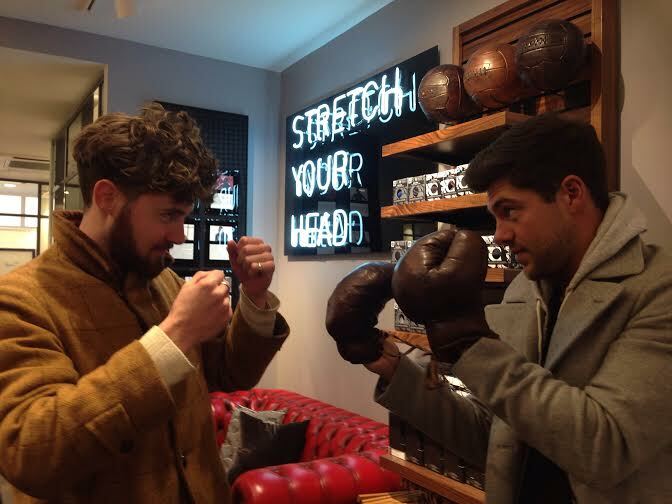 As we share a coffee after finally finding our Mytton Mittens, Alex shares some of the tougher times he’s had on Made in Chelsea. “Some people are really obsessed with it. Like during the Binky stuff I was getting so much hate. People were taking it upon themselves to defend her on Twitter when they didn’t even know her. “It was like two months of some pretty heavy criticism. Nobody ever said it in person though, it was all on social media. You can buy Alex’s single Electric on iTunes now.